¡Revive las emocionantes aventuras de JurassicWorld Fallen Kingdom en casa con las muñecas Claire y Owen de Barbie! ¡Estas muñecas totalmente articuladas con trajes exclusivos inspirados en la película Jurassic World crean infinitas posibilidades de narración de acción! Compra las muñecas ahora. Relive the thrilling adventures of JurassicWorld Fallen Kingdom at home with the Claire and Owen Barbie dolls! 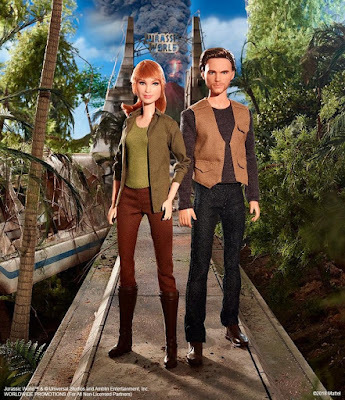 These fully articulated dolls with signature outfits inspired by the Jurassic World movie make for endless high-action storytelling possibilities! Shop the dolls now.